This is a follow on from a recent post “Telling the time in Korean“. The title “What Time Do You…?” might sound a little strange but it will make sense once you’ve read the conversation. 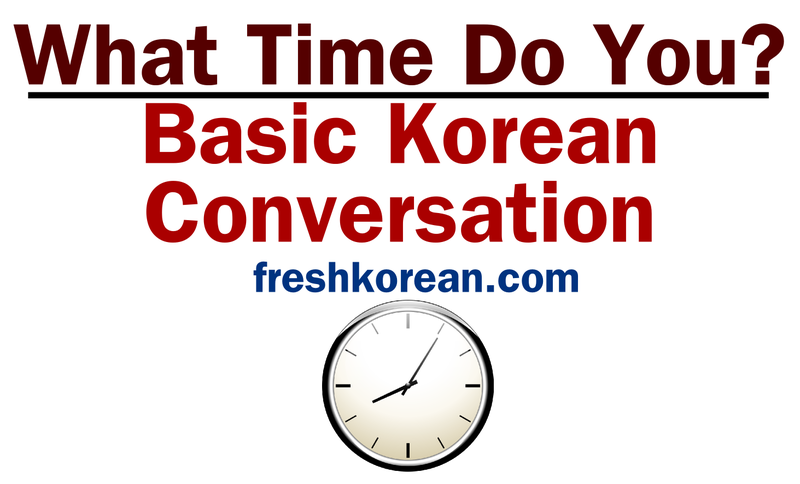 So please enjoy this our 12th free basic Korean conversational printout / download. As always the conversation is in Korean (Hangul), English and romanized English. 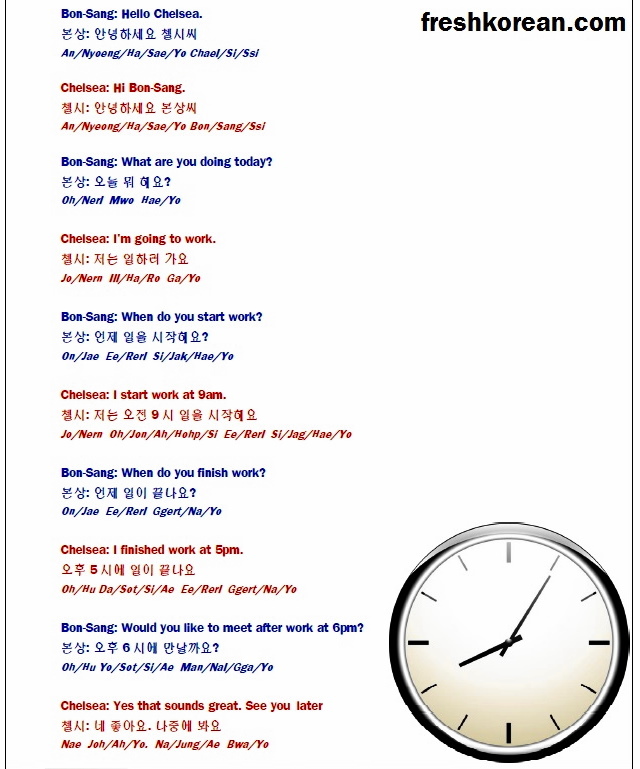 This basic Korean conversation is between two people “Bon-Sang & Chelsea”, they are friends who are talking about what they are doing and when they are doing things. With references to time.